Giorgio Vasari, writing in his Lives of the Artists of 1550, lamented how Piero della Francesca (around 1415/20-92) had the “truly unhappy” fate of being “robbed of the honour that is due to his labours”. Many of the early Renaissance painter’s “beautiful pictures” were destroyed in the wars of Urbino, the renovation of Ferrara’s ducal palace and the redecoration (by Raphael) of the papal apartments in Rome. Indeed, his esteemed reputation lapsed for several centuries. Rediscovered in the mid-1800s by British tastemakers and then a succession of Modern artists (Degas and Balthus both made pilgrimages to the frescoes in the Basilica di San Francesco in Arezzo), Piero seems now to have fulfilled Vasari’s belief that “time, who is called the father of truth, sooner or later makes manifest the real state of things”. The few surviving portable works he made have become fixtures at the European and US museums that own them, and rarely travel. With just 11 pieces, the State Hermitage Museum in St Petersburg is about to stage the biggest exhibition of Piero della Francesca’s work ever undertaken, says the curator, Irina Artemieva. A pair of focused displays at New York’s Frick Collection in 2013 and the Metropolitan Museum of Art in 2014 comprised seven and four works respectively. The 2007 exhibition on Piero and the Italian courts in Arezzo mustered six paintings by the master, although the museum had the advantage of proximity to the immovable frescoes in the town’s own basilica, as well as in Monterchi and Sansepolcro, Piero’s Tuscan birthplace. “In the world, there are about 20 works that could theoretically be moved,” Artemieva says. Such scarcity meant that “all the negotiations were extremely complicated” for loans to the Hermitage, which has no Piero works in its collection. The Uffizi in Florence turned down a request for its famous diptych of the Duke and Duchess of Urbino for conservation reasons. After heated political discussion in Sansepolcro over the Madonna della Misericordia polyptych, “we failed to get it at the last moment”, Artemieva says. 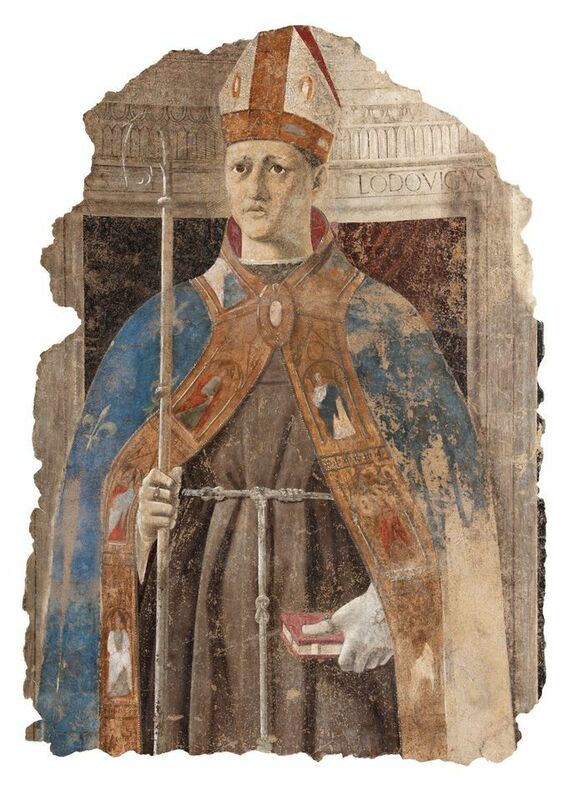 However, two fresco fragments will travel from the Museo Civico in Sansepolcro, San Giuliano (around 1455) and San Ludovico (1460). The loan of the Annunciation panel of the Sant’Antonio polyptych (1467-69) from the Galleria Nazionale dell’Umbria in Perugia was confirmed as recently as early November. 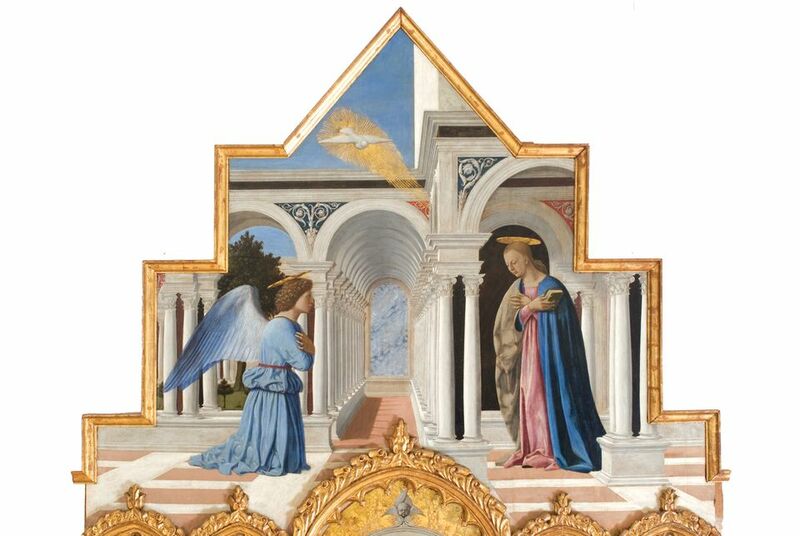 The Annunciation will be the exhibition’s centrepiece, Artemieva says, “because it is a nucleus of all [Piero’s] innovations—the architecture in his compositions and his achievements in perspective”. Arranged chronologically in one of the state rooms of the Winter Palace, the show takes its starting point from a Madonna and Child (around 1435) that was believed lost before it resurfaced in a Chilean private collection in 2007. There will be portraits in profile of Sigismondo Malatesta (around 1450) from the Louvre and a boy, possibly Guidobaldo Montefeltro (around 1483), from the Museo Thyssen-Bornemisza in Madrid. The attribution of the latter work to Piero has been debated in the past; however, Artemieva says the show includes only “his absolutely authentic works, without any suspicion of the participation of his workshop”. Three panels from the Sant’Agostino altarpiece (around 1465), normally scattered between London, Lisbon and Milan, will be reunited. Testament to the Hermitage’s ongoing collaboration with Italian institutions, it has also secured San Girolamo e un devoto (around 1460-64) from the Accademia in Venice, and Urbino’s Madonna di Senigallia (1470-80). In the absence of Piero’s celebrated but immobile frescoes, the museum will screen a new film about them by Italy’s state broadcaster, RAI. The exhibition will also be a rare outing for four manuscripts written by Piero, held at different Italian archives, which visitors will be able to “follow page by page” on digital screens, Artemieva says. The show is sponsored by the Russian state oil company Rosneft and the Italian bank Intesa Sanpaolo.